Armistice Day began Nov. 11th, 1918 when WWI officially suspended combat on the 11th day of the 11th month on the 11th hour. In time, the name of Armistice Day became Veterans Day in 1954, honoring all those who served in the military on Nov. 12th. For the Marvin family, there was not a single military conflict in which the family ranks were not involved and seriously depleted, going all the back to the American Revolution. As Lee Marvin liked to say, “It’s my country. 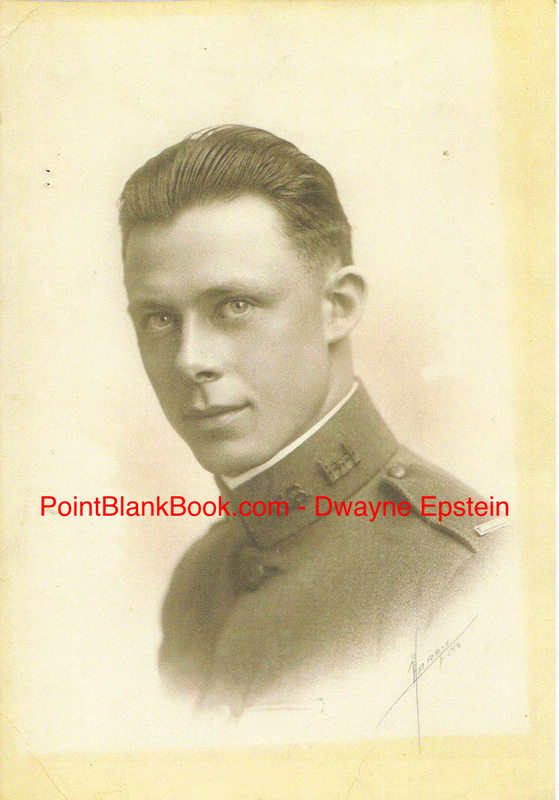 We fought for it, we Marvins.” However, since Armistice Day, began with the end of WWI, the involvement began a little closer in Lee’s lineage, which meant his father, Lamont Waltham “Monte” Marvin. Monte Marvin in his WWI uniform. An older Monter Marvin in uniform during WWII. 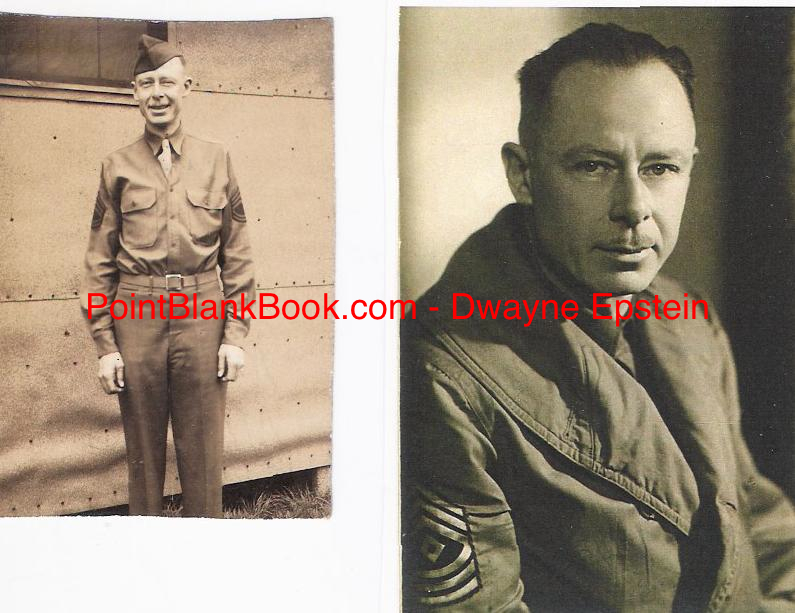 The Marvin men all served in WWII, with Lee’s brother Robert serving in the ground crew of the Army Air Corp. and Lee seeing the most combat as a Marine in the USMC’s island hopping campaign in the Pacific. All told, the Marvins did their part to earn respect and recognition for their duty in the service. This being Veterans’ Day — and a very special one, as it’s the 100th anniversary of the Armistice signing of WWI — take a moment some time today and remember those who served. Their contribution deserves our thanks. How to show that remembrance? One way is to read Lee Marvin Point Blank and discover in the actor’s own words via never-before-seen letters exactly what he experienced firsthand and how he really felt about the war at the time he went through it. You won’t be disappointed. Happy Veterans Day. Monte Marvin (left) and son Lee photographed for LIFE Magazine in the 1960s. 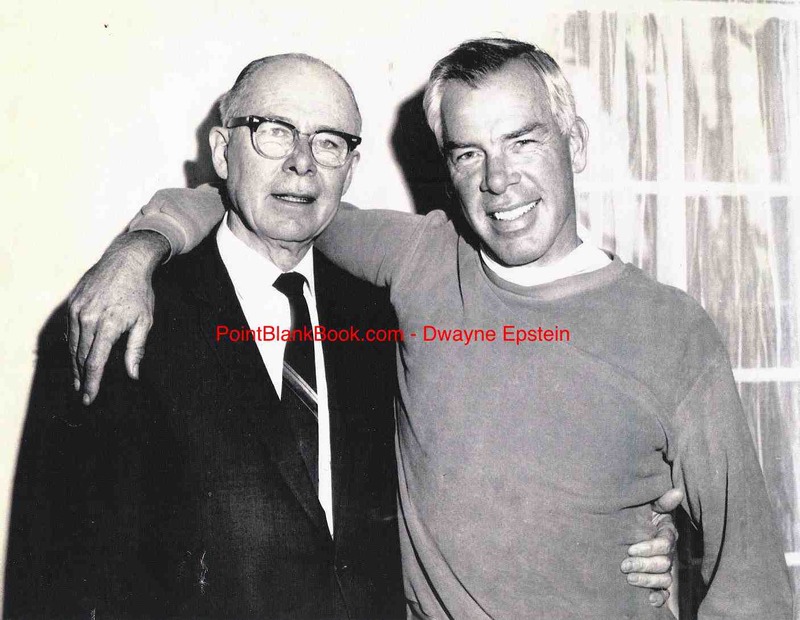 This entry was posted in Blog and tagged 302nd Engineers, Armistice Day, Lee Marvin, Lee Marvin Point Blank, Monte Marvin, Robert Marvin by Dwayne Epstein. Bookmark the permalink.